Take control of an powerful civilization of ancient Greece. You'll develop your civilization through the 8 game-rounds, add territory and build prestigious buildings. These increase you civilizations inhabitants luxury, wealth and power. Some buildings also offer protection against the destructive disasters. 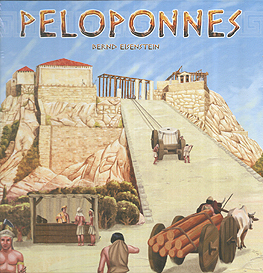 Only through good balance between inhabitants, land and buildings you claim victory and join the gods of Peloponnese.